After spending 2 nights in C3 on Annapurna, strong winds have yet again delayed summit aspirations for Lakpa and his team. They are safely back in BC waiting for another summit opportunity. 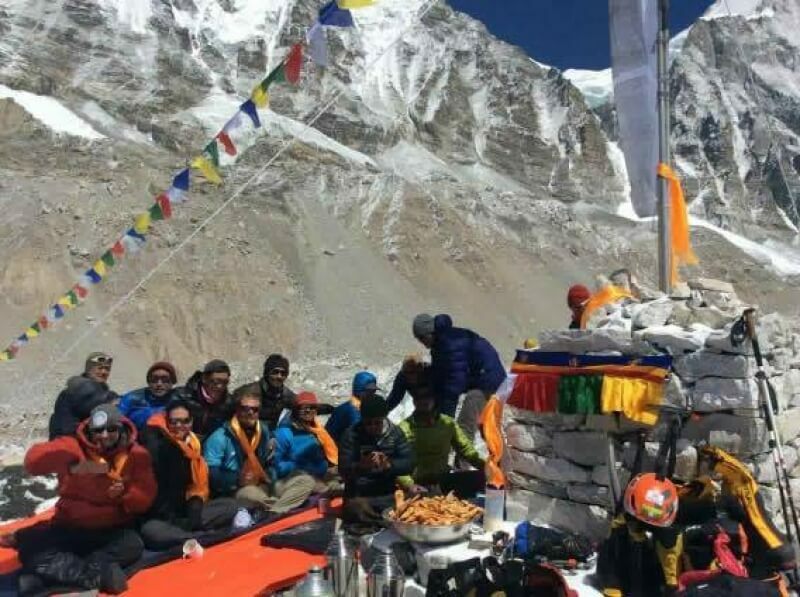 Over at Everest BC, we held our main pujaon the 14th with all climbers and gear. Our Sherpas are busy now stocking C1 and C2, while our other climbers are practicing ladder crossings in preparation for their first foraythrough the icefall on the 20th. Tomorrow marks the 2nd anniversary of the tragic ice fall avalanche. Our team will take a break tomorrow to remember the event and the men who died.